Color : Red, Green And Yellow. 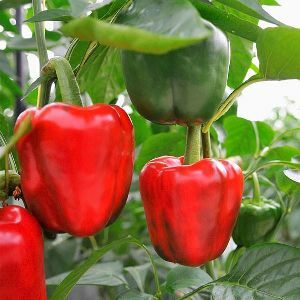 We offer fresh and completely natural Bell Peppers that are in wide demand in the market because of its quality and high nutritional worth. 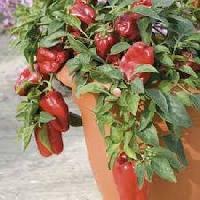 Cultivated using advanced agricultural techniques, our Bell Peppers have been termed as the best available in the market. 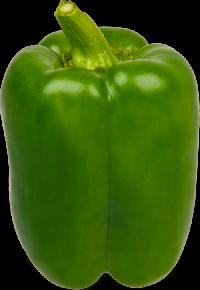 Bell Peppers are prepared using whole, fresh, sound red and green peppers that are free from all toxic residues and taints. 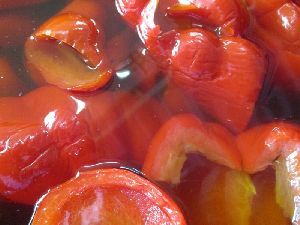 They are washed, blanched, sorted, drained, frozen using Individual Quick Freezing techniques, and packed. 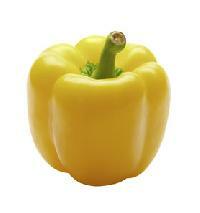 Our Bell Peppers are procured from reliable vendors who ensure the superior quality. 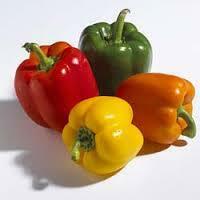 We prove Bell Peppers in different colors such as red yellow, and green. We make use of high-grade packaging material to retain their freshness for long duration. 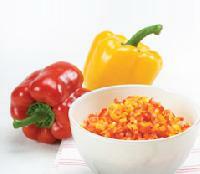 Our Fresh Bell Pepper is rich in essential nutrients and antioxidants. 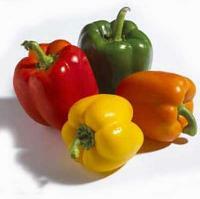 We can provide Bell Pepper in bulk to meet the diverse demands of buyers. 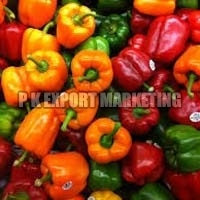 Based in Tamil Nadu, India, we are an eminent manufacturer, exporter and supplier of Fresh Bell Peppers . 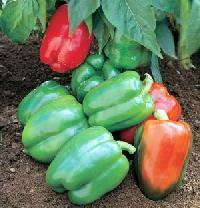 The bell peppers are grown under proper climatic conditions without any harmful chemicals or pesticides. 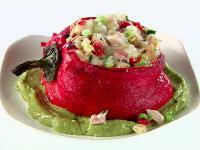 They are highly demanded due to the health benefits it offers. They are fresh, pure and completely safe for consumption. We handle small and large orders easily with an assurance of prompt delivery.